On 1 July 2013, the new Regulation (UE) no 305/2011 of European Parliament and Council 9 March 2011 became effective, where the commercialisation harmonised conditions are established, and which repeals the Directive (EU) no 89/106/ECC of the Council. 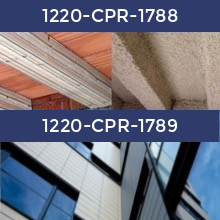 The CE marking has to be part only in those products in which the manufacturer has made a Declaration of Performance (DoP); otherwise CE marking may not be used. The manufacturer assumes responsibility for the conformity of the performance stated in the DoP. 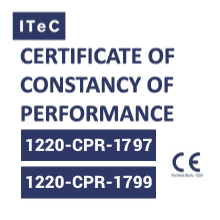 The CE marking is mandatory in order to guarantee the performance of products covered by harmonised standards taking into account the provisions related to the intended use. With the new regulation, the CE marking means that the commercialized product meets all the directives which apply to it. 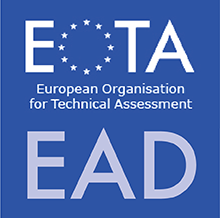 The European Technical Assessment (ETA) is the way to obtain the CE marking in those products which are not covered by a harmonised European standard, and it will allow to manufacturers and importers to make the declaration of performance of their products.